Social recruiting lets you reach candidates in new and exciting ways. As recruitment trends go, it would be hard to ignore social media recruiting. While "only" 36% of recruiters used social media recruiting in 2013, 44% used it in 2014, and that growth is expected to continue. Recruiting so-called passive job candidates (those who are already employed, but not necessarily opposed to finding something better) is now a major type of social media recruiting. LinkedIn India Director Irfan Abdulla recently told India.com, "Recruiters are relying increasingly on professional networking platforms to attract and engage quality candidates, as business growth demands quality talent to be acquired quickly." Social media recruiting can be a terrific, cost-effective way to find and hire new talent, but it requires far more than simply creating social media accounts, posting messages, and waiting for the resumes to arrive. Choosing social media platforms prudently is one key to maximising return on your social media recruiting investment. Should You Try to Be on All Social Platforms? LinkedIn, Twitter, Facebook, and Google+ are considered the "anchor stores" of the social media mall, and your social media recruiting strategy would be remiss to neglect any of these. There are plenty of other social platforms, and some may fit in with your social media recruiting plan better than others. Companies in creative fields can often effectively use visually-oriented sites like Pinterest and even Instagram for recruiting. In general, if you use a social media platform for brand building, you should include it in your social recruiting plan. Keep in mind that dividing your time between every available social media platform can eventually become counterproductive. A successful social media outreach requires regular attention and use of analytics. Therefore, you should consider the advantages and disadvantages of each network and choose to work with those most relevant to your brand and that you'll be willing to put effort into. You should review performance on a regular basis, looking at which networks are delivering the best response for you but also drilling down to a more specific level e.g. which posts have had the most engagement. How Do You Choose Between Social Platforms? If you're not sure where to begin, Wix has a good primer on the various platforms and their audiences. Beyond that, there are a few questions you can ask yourself to help determine where to focus your social media recruiting plan. Most companies have to choose which social platforms provide the best recruiting ROI. • On which sites can we find our target audience? Don't waste time and resources reaching out on a site your target demographic simply doesn't visit much. You can find out which sites to target by asking employees, customers, and clients which sites they use. • On which sites is our brand showcased most effectively? Having your company brand well-represented on a social media site is a terrific prelude to your social media recruiting strategy. Don't ignore sites where you're still building your brand, but at least at first, you can focus recruiting on social media where you already have a strong brand presence. • Which sites are best-suited for the type of posts we want to make? The different social platforms were built with different types of posts and conversations in mind. Focus on sites that specialize in the types of posts your company uses most for branding and recruiting, whether that's short announcements, in-depth posts, videos, or imagery. 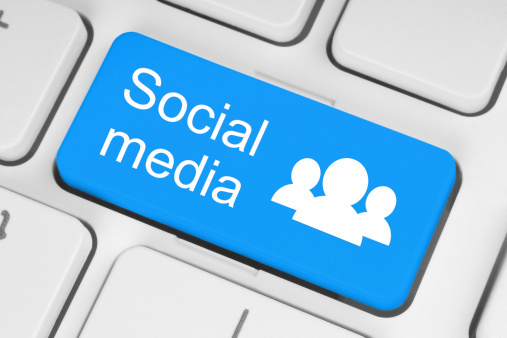 Is Your Company's Blog Considered a Social Platform? Whilst your company blog isn't a substitute for a strong social media platform presence, it should be considered as an important social media platform and therefore as an important platform for social media recruiting. The actual work involved is somewhat different than what you do with other social media sites, however. Cultivating relationships with leading bloggers in your industry can greatly extend your blog's reach, as can guest-blogging and bringing in guest bloggers (and their audiences). Interacting with readers in comment threads is as important with your blog as it is on your social media posts. And of course you can use your company blog to announce important job openings. Choosing social media recruiting platforms carefully can make a marked difference in the success of your social recruiting strategy. You should be represented on all social platforms that are relevant to your brand, and you should choose platforms to which you can commit over the long term. Having a half-baked social media strategy that fizzles out once you realise how much work is required is perhaps worse than ignoring a platform altogether. Generally, if you use a social platform to build your brand, you can successfully incorporate it into your social media recruiting strategy. Social-Hire is a leader in social media marketing for the recruitment industry, helping companies develop and implement highly effective social recruiting strategies. We help companies define their target audience, know which social platforms they frequent, and use the tools available through platforms and third parties to set social media recruiting goals and meet or exceed them. If you have questions, we would love to hear from you. Why not contact us today to set up an expert consultation about your social media recruiting strategy?